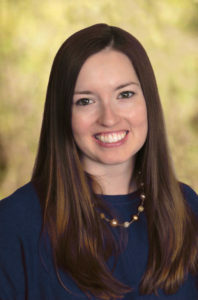 Earning her Masters degree in Social Work from the University of Chicago, Ashley is a Licensed Clinical Social Worker who is experienced in working with children and adolescents in a variety of settings including schools, therapeutic day programs, within the foster care system, group homes and a wilderness program. Ashley has not only provided passionate care to children in these settings, but also worked extensively with parents and/or guardians to provide support and guidance. Ashley has facilitated groups struggling with Autism, Anxiety and other mental health concerns, using evidence based techniques. Throughout her time working in schools, Ashley has incorporated tools deriving from Social Thinking curriculum, the Zones of Regulation, Calm Classroom as well as other evidence based strategies to support students and staff in the classroom. She is an excellent resource for parents regarding home based interventions as well as linking families to additional supports in the community. In working with clients, Ashley focuses on client strengths to promote positive change while also helping to develop a skill set for healthy coping and resiliency. Ashley is a compassionate, energetic and empathic practitioner who appreciates the vulnerability required by her clients to open up to a social worker. She provides a safe, non-judgmental space that allows for change, healing and personal growth to occur.